www.newzimbabwevision.com says the reintroduction of affordable Zupco buses is a nationwide issue and nothing to do with Ndebele business, stop listening to tribalist Mthwakazi Republic Party President Mqondisi Moyo hogwash! www.newzimbabwevision.com also says, worldwide, where there is respect for the rule of law and a decent bus service where routes ,bus stops, time tables, and safety standards in terms of vehicle/ bus conditions, road rules, driver legal requirements and full accountability to the law by everyone including spare parts suppliers, engineers, mechanics, fitters, managers, inspectors, directors, company owners, local councils and the government, you have beautiful smooth operating safe services, cheap affordable transport that is partly funded by government and full accountability by the whole system. There is law and order in everything. Any small operators interested in being part of the transport service, should look at options including buying shares sold to the public in the transport business, apart from that, Zimbabwe can return to a peaceful smooth operating, safe public transport system that is inviting to foreigners and tourists who promote the economy. We need to wake up and clear this rubbish on the roads. Stop listening to these retrogressive Mthwakazi leaders,..absolute trash fit for the deepest pit , Transport is about Zimbabweans, black, white, coloured, any tribe, religion or other grouping and has nothing to do with this Ndebele, Shona nonsense. He claims that the recently introduced Zimbabwe United Passenger Company (ZUPCO) buses in Bulawayo are a ploy by ZANU PF to takeover business from indigenous Bulawayo residents. 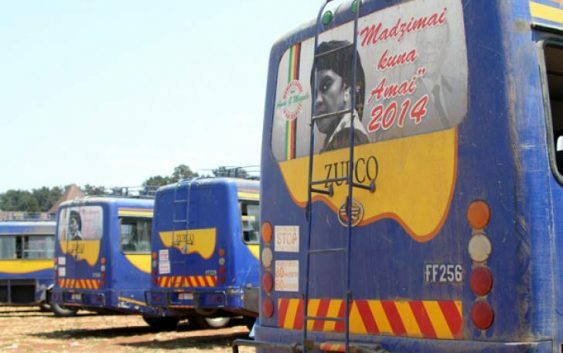 Mthwakazi Republic Party is utterly dismayed by the introduction of the so called Zupco busses in Bulawayo. The worst stinker of this whole arrangement is the government’s shameless act of bringing buses from Mashonaland to destroy the transport economy in Bulawayo. If you are truly a resident of Matabeleland, let me remind you that all that is happening in our region is a direct contribution of this failed government. We all agree that the Kombi drivers and windis have not been treating people well, but they are our children, we don’t need ZANU PF and Harare to reign our own children to order. We need to do so ourselves. All that we need to do is to bring back our power as residents of Bulawayo and control the taxi industry. It has been very unfortunate to hear some notable civic organizations in Matabeleland supporting these tribally deployed buses. Bantu bako Bulawayo, let’s open our eyes, this program has come to destroy than to help Bulawayo. When all these young boys are laid off from work we will have a burden of dealing with crime koBulawayo. We can’t be defeated by abantu bemtshova, let’s all come together, put them to order and support this industry for the future of our children. We will soon announce our way forward on our resolve to mobilise the people of Bulawayo to shun and resist these evil busses. It is now or never. Let’s all protect Bulawayo for our children. Let’s not live for today and forget that there is a Tomorrow, that we need to guard jealously for our children. We can’t build Bulawayo through temporary emotions, but love, unity and strategy and a lasting vision.